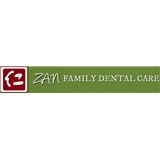 Zan Family Dental Care (Fresh Meadows) - Book Appointment Online! Specialties We are a Family oriented Dental office, providing services for Cosmetic, Restorative, Implant, Perio, Oral surgery and Pedo dentistry at high QUALITY! History Established in 2013 Both Dr. Zan Chang and Dr. Jing Yao Ye have been serving the queens community for more than 6 years!! Come on in and let us put a smile on your face! WE ACCEPT MOST INSURANCES. PLEASE CALL OR EMAIL FOR INSURANCE ELIGIBILITY! He was wonderful! Very theral with what he was telling me. You can tell he is very dedicated. Office was immaculate and the front desk was nice. Very cozy. His assistant was very kind as well. I found my new dentist and I'm very pleased. Thank you to my coworker for introducing me to him. Great great great!